Seattle Gay News is pleased to be the first Northwest publication to interview rising UK act Switches. 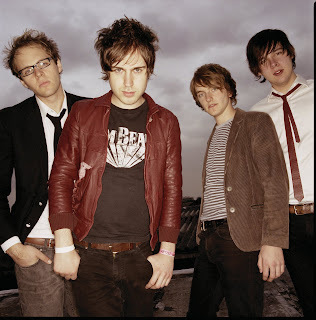 The punk-pop foursome just began a 26-city tour with The Bravery, which delivers them to Seattle on January 25. Lead singer Matt Bishop steps inside "The Music Lounge" in this week's issue, out on January 18. Find out what this dishy Brit likes to do before getting on a plane and what's packed in his suitcase for the group's current nationwide tour. Signed to the same record label as Amy Winehouse, U2, Snow Patrol and Beck, the newest band to get plugged into is Switches. Tickets for the January 25 performance are on sale here: http://www.neumos.com/. Interview with Matt Bishop of Switches on January 18, exclusively in the Seattle Gay News! 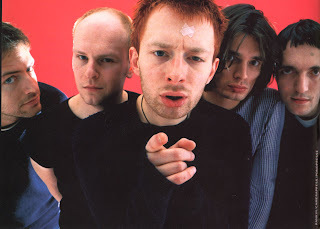 Seattle Gay News is pleased to announce that critically praised rock group Radiohead has included Seattle on its upcoming North American tour itinerary. Date and venue will soon be announced. Further details on Radiohead's concert are forthcoming. The list of cities on the band's tour, in alphabetical order, is listed below.